The Frewville centre was purchased by CRG in October 1989, and the store hasn’t looked back since, it has continued to grow and strive forward under the guidance of CRG. 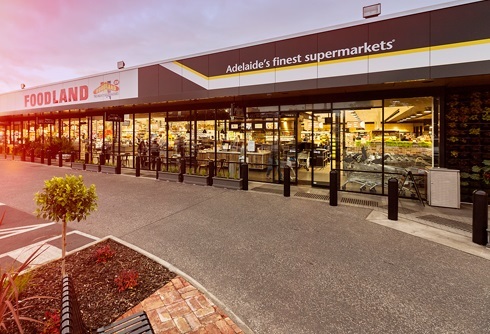 Frewville Foodland has won 2015 SA IGA Retailer of the Year, 2015 National IGA Retailer of the Year, 2016 INTERNATIONAL IGA Retailer of the Year, 2016 SA IGA Retailer of the Year, 2016 National IGA Retailer of the Year and 2017 INTERNATIONAL IGA Retailer of the year. These amazing achievements were awarded because the store is a unique world-class supermarket that leads the way in hospitality focused service. To complete the story, Frewville Foodland has recently opened the doors to Mr Nick’s Kitchen & Coffee Bar and Frewville Flowerbar. With over 250 staff, the group are a dynamic and friendly team that is continuously growing. View the Adelaide’s finest supermarkets website by Clicking Here.